We’re so proud to have been recognized as the Best Window Store in the Quad-City Reader’s Choice Awards for Four consecutive years. On behalf of the entire Window World team, we greatly appreciate all of our loyal customers who nominated and voted for us in 2014, 2015, 2016, and 2017! 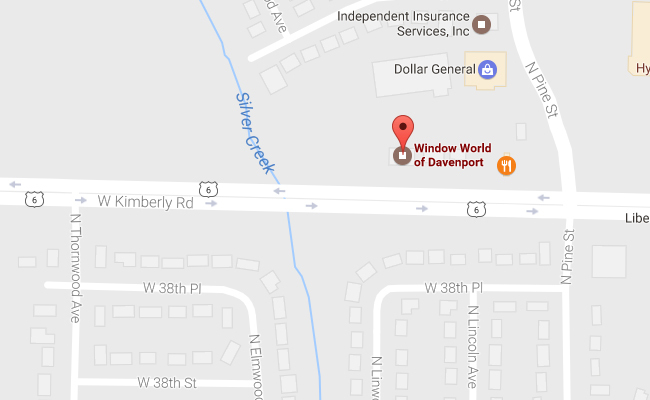 Window World of Davenport is a locally owned and operated franchise, proudly providing exceptional value, expertise, and service from our Davenport location. We offer free, no-pressure in-home consultations in IA: Clinton, Des Moines, Louisa, Muscatine, and Scott; IL: Rock Island. Since our start in 2012, Window World of Davenport has grown to be one of the largest home improvement resources in the region.